To those readers who’ve Microsoft Office 2007, 2010 or 2013 installed in their computer. Automatically saves whatever you type or paste. So no need to hit save button/Ctrl+S every few minutes. When you copy paste text from a webpage, it also preserve the URL address of that webpage, for future reference. Goto Start Menu> all programs >Microsoft Office >Microsoft Onenote. 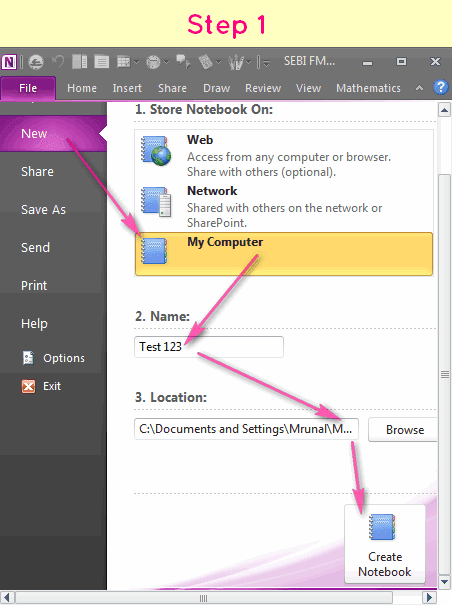 Finally Click on “Create Notebook”. 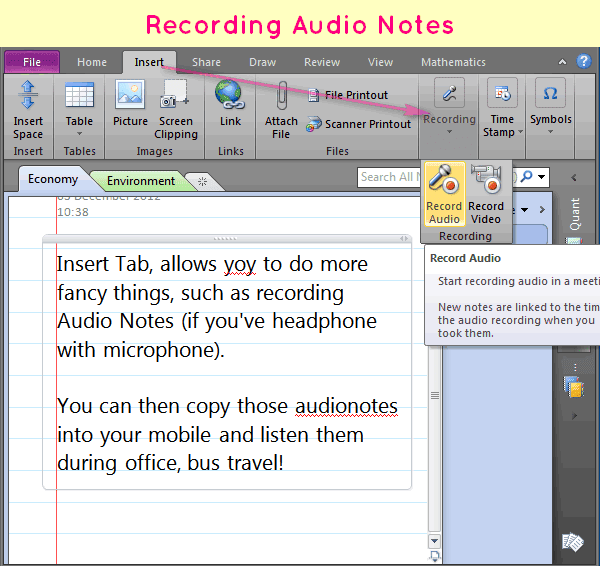 You can then copy those audio-notes into your mobile and listen them during office recess, bus travel! 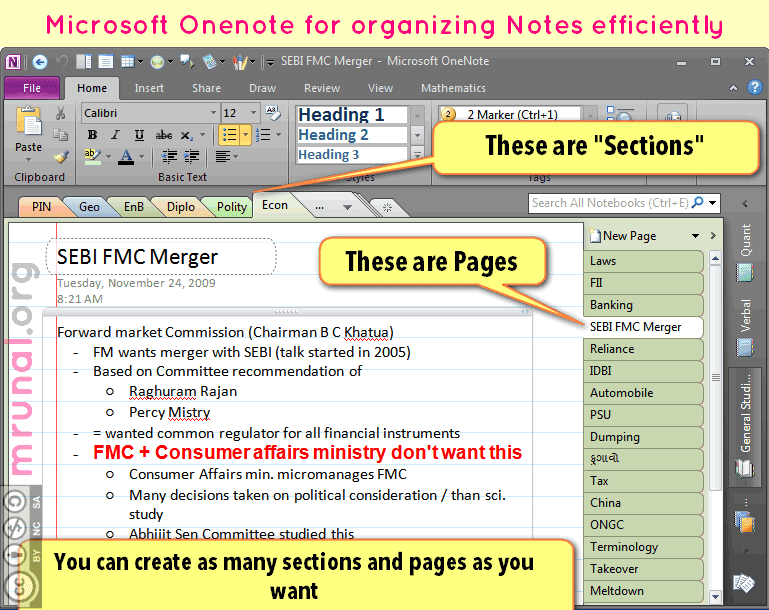 Biggest Advantage of Onenote=Converting Image into text. 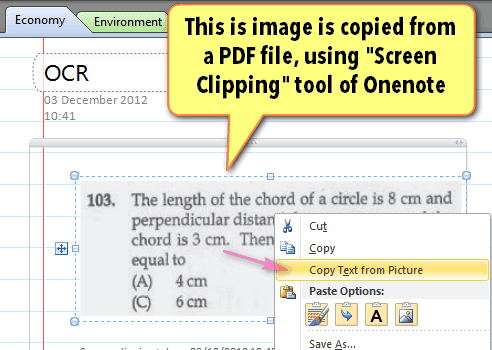 For example, you download a question paper (PDF) but its text is un-copyable (due to low-resolution scanning). Open PDF usion Adobe/Foxit reader. 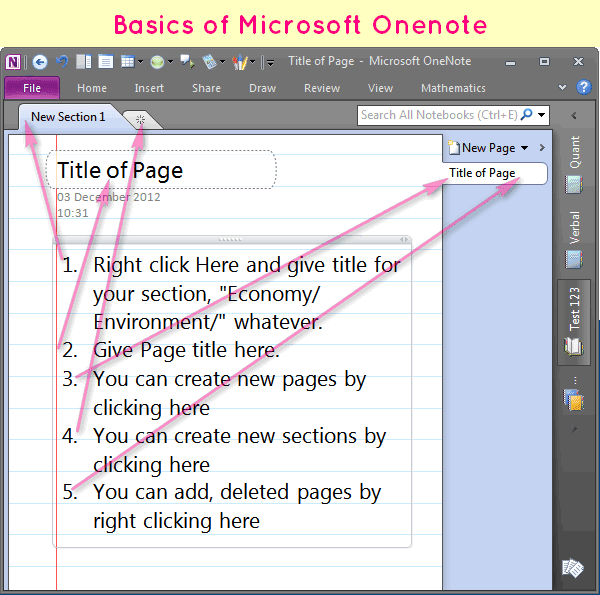 Come back to Onenote, click on Insert tab> Screen Clipping. Now draw a rectangle around your PDF file. It’s copied image will be pasted here. then place your cursor anywhere on the page and press “Ctrl+V” (or right click>Paste). The text will be pasted. Although text-recognition depends on many varibles such as resolution of input image, number of colors, background etc. There are many other useful features too, such as tagging, unfilled pages etc. The best way to master a software is by using it. So go ahead and try all buttons. So plz download it once again nd stay happy..
this is something really excellent for note making. Mrunal i owe you a lot. 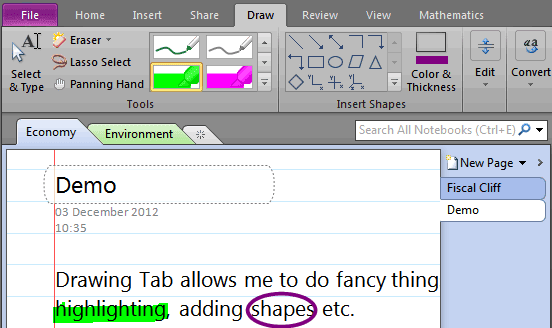 On the other hand in Onenote i have to manually select the tool whenever i want to highlight a text. This is cumbursome and we loose the flow ofreading an article..Is there any way we can selecet the tool just ONCE and keep on highlighting the whole document? I installed mindjet mind manager. After drawing a mind map, Is there any possibility to convert it to pdf or word file. Sir are you using MO 2010,? coz yours look and options are different from MO 2007……..
hey Manju, I have MO 2007. Would u please send me MO 2010. my mail is [email protected]. thanks in advance. Hi!! I have OneNote 2007 but I want OneNote 2013, the latest edition. please somebody help me to get it freely. thanks in advance. Thanx for this supportive tool for the quick reference of heavy readings ..But its too late for me as I find this as time consuming at this moment…. I am not able to download the page in PDF format. Sirji is there any software of similar kind to use in android tablet?